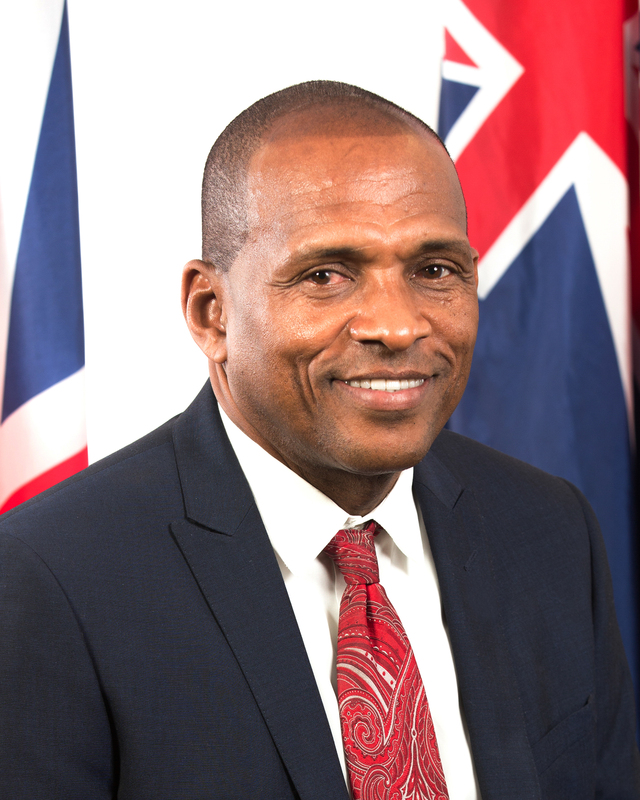 Madam Speaker, could the Honourable Minister for Communications and Works please tell this Honourable House when he intends to fix the hole in the middle of the road in Little Bay, Brewer’s Bay that has been there since the installation of the water lines from Luck Hill to Nichol’s Bar in 2016 which I was assured would be remedied in two months after the completion of the works and then again in this Honourable House in the Standing Finance Committee Meetings of 2017? Madam Speaker, several months ago I visited this site with the District 2 representative along with the acting director of Public Works and his team. Instructions were given to repair the road immediately. Regrettably, to date this has not been done. I have since directed my Permanent Secretary to take immediate action on the matter. Hopefully, this will be completed before end of January 2019. Madam Speaker, a new Long Trench Pump Station installation is being completed. The Diamond Pump Station upgrade is well advanced to be completed soon. Once these are completed within the next few months, water should be available to the areas in questioned on a consistent basis. If the works have been completed, what else is needed to ensure that water is received by residents daily and when will it be supplied? Madam Speaker, I am pleased to announce that the heavy construction work on the new reservoir on Jost Van Dyke was completed on Thursday, 13th December 2018. The final connections are now being done and should be completed by the end of this month. The reservoir will then be commissioned. Repairing a part of the main distribution water main. Madam Speaker, I also take this opportunity to thank Mr. and Mrs. Soren Blak for the use of their water storage facilities, which enabled us to distribute water to the residents of Jost Van Dyke, though on a limited basis. I would also like to thank the residents of Jost Van Dyke for their patience while the new reservoir and the enabling works are being completed. When the Public Works Department on Jost Van Dyke will receive its own Backhoe and 3 yard truck? Has the funding been identified and allocated? If not, why not and when? Madam Speaker, the Public Works Department has four backhoes and seven trucks to service the Territory. In addition, private equipment operators are regularly engaged to carry out works. At present, a backhoe with operator and our truck are sent to Jost Van Dyke to carry out work, as the need arises. Madam Speaker, as part of the 2019 budgetary process, submissions have been made to the Ministry of Finance seeking funding for equipment. Once approval is received, a backhoe and 3-yard truck for Jost Van Dyke will be considered. Madam Speaker, the budgetary process is ongoing and therefore, I am not in a position to provide any further information as it relates to part C of this question. The road works and overlay have not been completed from Mt. Healthy to the Community Center in Brewers Bay? The road works and overlay have not been completed from the entrance of Sky World to Diamond BasketBall Court? When will the road from Doghole to Foxy’s in Great Harbour, Jost Van Dyke be completed.? Madam Speaker, road repair works continue Territory-wide. However, given the current state of the Territory’s roads, the Government has opted to introduce a comprehensive Road Re-development Programme. Our Public Works Department does not have the capacity to design the necessary upgrades the Territory’s roads. Therefore, Cabinet recently approved a major contract for a professional company to design a complete road network for the Territory. As the various designs are completed, bids will be issued locally, regionally and internationally, through the RDA, for these major road works. In the meantime, the Public Works Department has started repairing the various potholes throughout the Territory. A request is presently before Cabinet for funding to do temporary overlays over the next three months across the islands, including the areas listed in this question. Madam Speaker, this will affect the responses to parts b, c and d.
he is aware of the hazardous road from Harrigan to Montessori School where residents and students have to traverse on a daily basis? If yes, when will works be completed? Madam Speaker, my Ministry is aware of the road conditions on the bypass road leading from Harrigan’s to the area of the Montessori School. The Public Works Department visited the site and has completed their assessment of the area. Designs are expected to be completed within the next week. Madam Speaker, following design and costing analysis, the Ministry will seek the necessary funds to initiate the project. Madam Speaker, given the aforementioned, I am not in a position to state precisely when the works will be completed. When the Waste Water Treatment Plant was constructed and implemented in Cane Garden Bay? When he first became aware that the system was not fully functioning on all eight chambers? Of the Eight chambers how many were functioning prior to August 2017? How many were functioning after August 2017? How many sewerage pump stations are in Cane Garden Bay from Ross Bridge to Arundel Bridge? How many sewerage pump stations are in the capital of Road Town? 2015, 2016, before August 2017 and after August 2017? How many are functional at January 1st 2018? What is the contractual agreement signed between the contractor/s and the Ministry of Communications and Works for the pumping and removal of sewerage in Cane Garden Bay? Number days required to pump in contract. Provide a copy of the contractual agreement/s that were signed between the contractor/s and Ministry of Communications and Works since this method has been initiated. If he has received any recommendations by the contractor/s for the pumping of sewerage since the contracts have been executed and works have been executed? If all outstanding bills have been paid? Madam Speaker, the Waste Water Treatment Plant at Cane Garden Bay was constructed and commissioned in 1997. Madam Speaker, when I took office in November 2011, as Minister responsible for Sewage, I became aware that the system was not fully functioning on all eight chambers. Remedial works were done, but the system required constant repairs and eventually failed. Madam Speaker it is my understanding that four of the eight chambers within the Cane Garden Bay Sewerage Treatment Facility were functioning prior to August 2017. Madam Speaker, after the floods of August 2017, none of the pumps within the Cane Garden Bay Sewerage Treatment Plant were functional. Madam Speaker there is a total of 34 sewerage pump stations in Cane Garden Bay, from Ross Bridge to Arundel Bridge. Madam Speaker, there are 13 sewerage pump stations in the capital of Road Town, which cover areas as follows: Baugher’s Bay, Purcell Estate, Botanic Station and Fort Burt Hotel Corner. i) Madam Speaker, in 2015, all pump stations, with continuous repairs and replacement of parts, were functioning. In 2016, the number of working pump stations declined to more than half. Madam Speaker, prior to the hurricane in 2017, the number of non-functional pump stations continued to diminish, with less than one third being functional. Madam Speaker, none of the pumps in Cane Garden Bay were working as of January 2018. Madam Speaker, to mitigate against the pollution of the roadways and beach at Cane Garden Bay, the Ministry of Communications and Works engaged a private contractor to pump the sewage stations by truck, as needed. Given the cost implications that resulted and in line with the Public Finance Management Regulations 2005, the Ministry obtained proposals from qualified contractors to submit bids for the ongoing pumping services, until a long-term solution is implemented. Madam Speaker, the Ministry of Communications and Works was notified of a decision by the Cabinet of the Virgin Islands, to award a contract to the lowest qualified bidder, in the name of K&K Heavy Equipment and Sewerage Disposal Service. This contract was for a period not to exceed 12 months, at a monthly total also not to exceed Nineteen Thousand, Nine Hundred Twenty Dollars ($19,920.00). Madam Speaker, it is expected that the pumping will take place in line with the instructions of the Director of Water and Sewage, in accordance with Cabinet’s decision. Madam Speaker, a contract is not in place yet. It is being processed for the amount of $19,920 monthly for a period of one year. The amount of days will be flexible depending on the number of stations to be pumped on a regular basis. This is being finalized. Madam Speaker, as a result of the response above, sub questions III, IV and V are not applicable. h) Madam Speaker, the contract has not been executed as yet. Madam Speaker, the Ministry of Communications and Works is working with Connect Enterprises to continue pumping the stations on a daily basis. Madam Speaker, between the periods 2016 to 2018, the total sum expended on sewerage related works in Cane Garden Bay is approximately Three Hundred, Thirty One Thousand, Seven Hundred Dollars ($331,700.00). Madam Speaker, a comprehensive program for the rehabilitation of the Cane Garden Bay system has been enacted; this commenced with the engagement of FDL Consultants Ltd., an engineering firm from St. Lucia, with an approved budget of approximately One Million Five Hundred Thousand Dollars ($1,500,000.00). Madam Speaker, FDL’s latest progress report indicates that the designs are now complete and are expected to be submitted to the Ministry during the course of this week. Draft tender documents are being developed and are expected to be completed within the next week. Madam Speaker, it is expected that the tender will be publicised as soon as mid February, 2019. Madam Speaker, all invoices have been settled up to December 31, 2018. I am aware that the contractor submitted invoices for the period of January 1- 11, 2019, and these invoices are being processed. Madam Speaker, could the Honourable Minister for Communications and Works please tell this Honourable House when the street lights that existed prior to the Hurricanes of 2017 will be replaced in the areas of Ballast Bay, Spooners, Chalwell and Brewers Bay? Madam Speaker, the BVI Electricity Corporation continues to repair and replace street lights on an ongoing basis Territory-wide and in-line with their inventory. I am aware that street lights have been replaced in the areas in question and while others are still required, I am certain that they will get to those areas within the first quarter of this year. When the main road that was destroyed from the August Floods and Hurricanes of 2017 that takes them to their residence will be rebuilt? Seeing that the alternate route has been cleared and is now in use, state when works will be started to remedy the bad spots to allow for emergency vehicles to be able to get up and down in case of an emergency? When works will begin on the Ballast Bay Ghut to redirect the water to run to its natural path since debris and heavy rocks have caused water to run directly on the main road since the Hurricanes, creating excess damage to the property of persons living below and next to the ghut? Madam Speaker, as mentioned in response to Question 5, but I reiterate, road repair works continue Territory-wide. However, given the current state of the Territory’s roads, the Government has opted to introduce a comprehensive Road Re-development Programme. A major contract was recently issued by Cabinet for the re-designing of all roads throughout the Territory. Works on these roads, including the roads mentioned, will be tendered locally, regionally and internationally for construction by professional road building companies. Madam Speaker, as a result of the new programme, I am not in a position at this moment to give precise dates for the actual re-development of the Ballast Bay Bridge or road. However, minor repairs, including grading, have been done on the alternate road. The Public Works Department will continue to maintain the alternate road, while the comprehensive programme is implemented.